"Serviceology: its concepts, theories and applications"
In this session, we plan to discuss fundamental concepts, theories and models of serviceology. 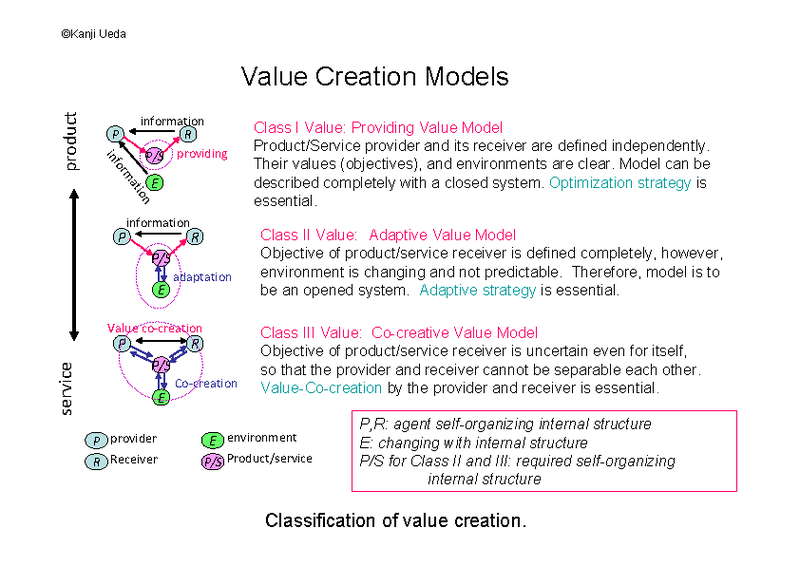 We propose a framework of the Value Creation Model for this discussion (see Figure). We classify all submitted papers into above three classes, moreover we try to classify all papers into another three stages, such as the concept stage, theory/model stage and application stage. 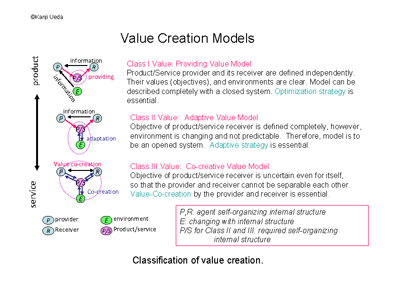 Through this classification, all papers are grouped into 9 categories (3 classes x 3 stages). Hot discussion is welcome on these paper surveys.